Evolution of the mobile technology has significantly revolutionized the way we connect and interact with other people across the world. Today, Instant Messaging (IM) mobile apps have gone beyond the regular SMS texting, allowing users to share multimedia files free of charge. You only need to connect your device to the internet and enjoy sending and receiving text, audio, photos and videos to and from any part of the world. In this article, we focus on comparing WhatsApp and WeChat, two of the most popular IM apps. Related: WeChat tips for iPhone users. Both WeChat and WhatsApp offer real-time mobile chatting platforms for millions of users without any SMS charges. The two messaging apps are similar in many ways, but also significantly different. In terms of popularity, WhatsApp has over 1.5 billion active users with majority of coming from the Western countries and Africa. On the other hand, WeChat dominates the Chinese messaging applications market and has approximately 1 billion users with only a few from outside China. While WhatsApp limits its focus on providing a platform for communication and file sharing void of ads, gimmicks or games, WeChat offers collection of many things in one package. The latter provides an all-in-one platform for communication, social media, search engine, mobile wallet and e-commerce. However, WhatsApp has introduced its “Business Version” app, resembling WeChat’s subscription account component to allow marketers to reach its huge population of users. The two messaging applications are compatible with various mobile frameworks including Android, iOS, Window Mobile and Blackberry. 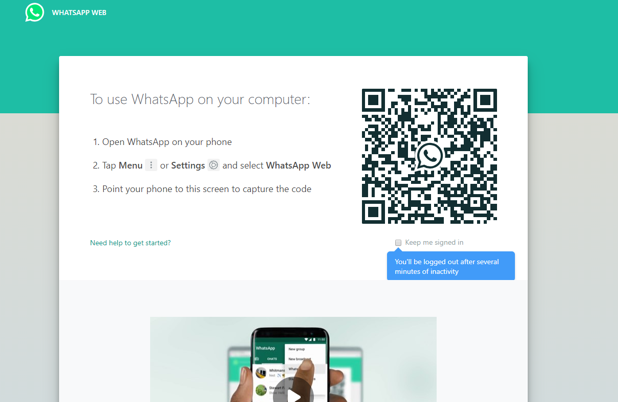 Additionally, you can connect the app to your PC by scanning a QR code, allowing you access from the browser. 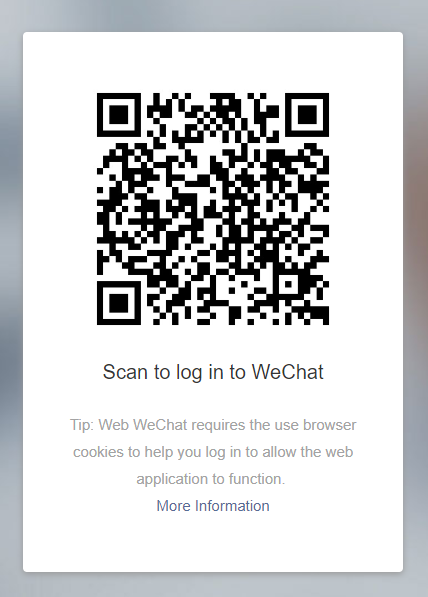 Users can download both WeChat and WhatsApp from app stores at no cost, and then install in just a few simple steps. After installation, you will need to sign up using your phone number. However, WeChat is a step ahead as it offers users the option to register using a Facebook account, meaning you can setup your account without a SIM card. 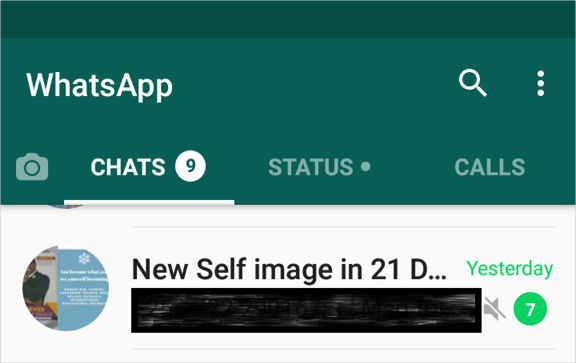 Concerning the user interface, WhatsApp Android app has a simple and user-friendly UI featuring 3 main tabs, menu icon and the “New Chat” icon. 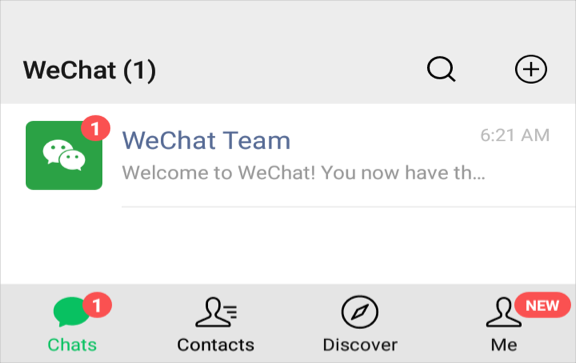 WeChat Android app too has a simple and straightforward UI with “Chats”, “Contact”, “Discover” and “Me” menu buttons at the bottom of the screen for easy navigation. When comparing with iOS and Android apps, WeChat has uniform app on both platform. WhatsApp has a separate settings button at the bottom on iOS app while the settings are available on top on Android app. Both WhatsApp and WeChat allow users to send and receive texts, images and videos. Besides, you can record and send voice messages, make regular and video calls from either of the apps. A big plus for WhatsApp is the notification feature, which allows you to tell whether the message has been delivered and read. However, you can change the settings to block senders from getting the “Read” notification status. Additionally, these two apps supports group chatting with WhatsApp supporting a group of up to 256 while WeChat supports larger groups of up to 500 members. Another interesting feature on both WeChat and WhatsApp is emoticons, which offers a great way to share your moods and feelings. In addition to the emoji sharing, WeChat have Sticker Gallery and a newly introduced option to record your own sticker as a plus. Furthermore, on WeChat you can update a text status message while WhatsApp allowing you to update and view contacts’ multiple text, image and video status. 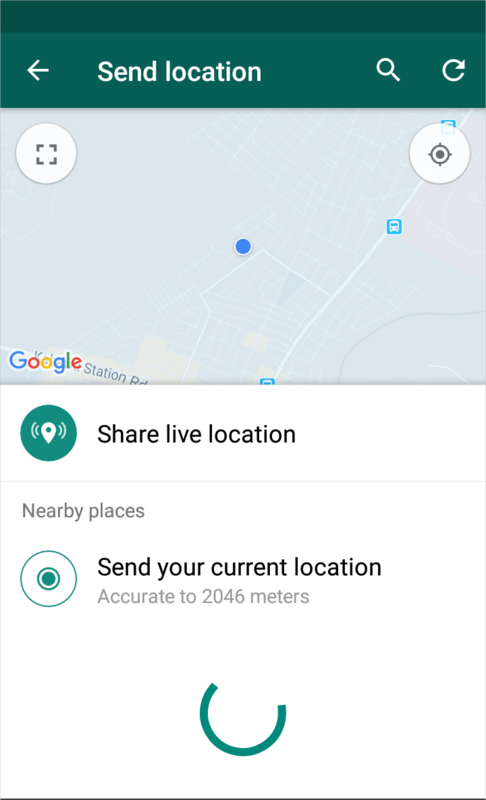 Both WeChat and WhatsApp allow you to share your live location enabling other users to see your whereabouts. With WhatsApp, you can send a message to anyone in your contact list without their approval, provided they have the app installed on their device. On the other hand, WeChat requires the recipient to approve your contact before you start communicating with the user. Both apps provide end-to-end message encryption and allow users to alter the privacy and security settings to protect your personal information. Another security concern is sharing of your personal data with third parties. WhatsApp shares personal details with its parent company, Facebook to enable personalized friend suggestions and ads. On the other hand, WeChat may hand private data to Chinese government upon request. Both apps give you the ability to customize appearance, data usage and privacy settings. You can allow or block contacts from viewing your availability, profile picture or status update. Socialization features such as moments and friends circles – Social feed of friends’ updates and content sharing. You can also search and find friends in WeChat app. Official Accounts – The “Subscription” and “Service” accounts. E-payment feature – WeChat Pay, which enables payment for products online. You can book a flight, place orders or call a taxi from the application. Besides, you can use WeChat e-wallet for mobile top up and money transfer to your friends. Shake and Find Near Friends – A feature for looking for new friends. Below is a detailed comparison of WeChat and WhatsApp features. Platforms Android, iOS, macOS and Windows. Android, iOS, Blackberry, Windows Phone, Symbian and macOS / Windows desktop app works with mobile app. Language Yes, multiple language support within app. No in-built language support. You need to change the phone’s language setting. Payment platform Yes, supports money transfer, sending gift with verified Chinese phone number and bankcard. WhatsApp Pay available for limited Indian users with verified phone number and local bank account that supports Unified Payments Interface. Security Privacy concern due to China regulations. Privacy concern due to data sharing with parent company Facebook. WhatsApp is still the most popular IM app, providing users with a modest and efficient chatting platform. However, though most people prefer WhatsApp for its chatting function, WeChat offers full range eco-systems with several features that would make live more interesting for anyone. Though the China-based app is not popular in many parts of the world, the company is seeking to expand its market outside China, and it can be a good try for you.